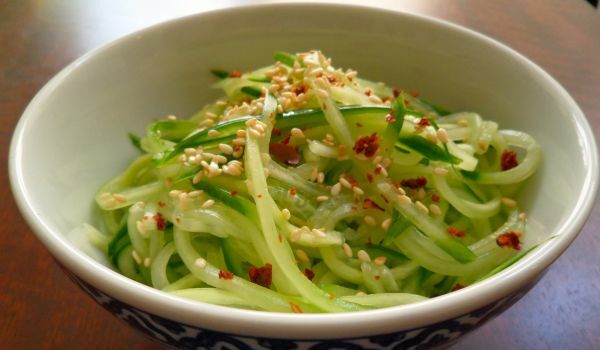 Our Cucumber Recipes section contains a variety of tasty cucumber recipes. Cucumber (Kheera) is mainly used in salads, soups, raita, sandwich, pickles etc. Try our range of easy cucumber recipes. A classic salad with freshly made croutons and ranch dressing, this salad is perfectly composed to please the entire family. 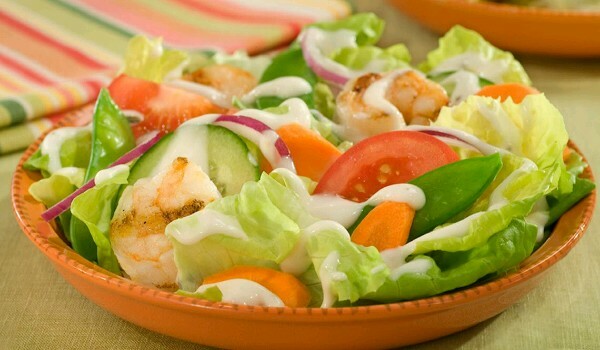 Keeping health and taste in mind, nothing surpasses this delectable salad. Fruit And Vegetable Raita is a crunchy delight with the goodness of fruits and vegetables. Learn how to make/prepare Fruit And Vegetable Raita by following this easy recipe. 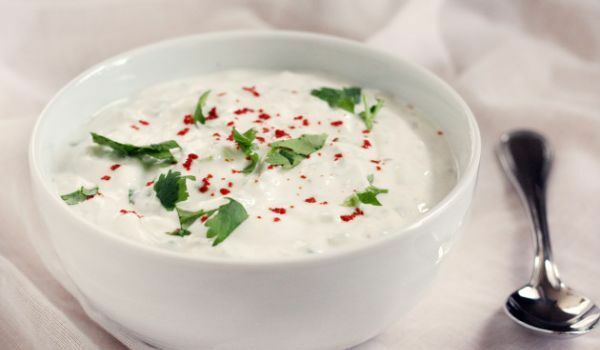 Cucumber Pepper Raita is a healthy appetizer to go with your meals. 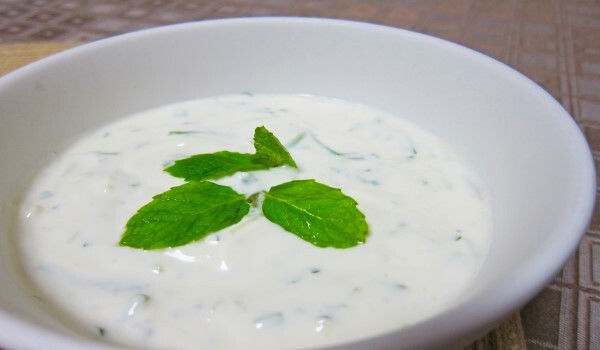 Learn how to make/prepare Cucumber Pepper Raita by following this easy recipe. Cucumber Tomato Salad is a delicious recipe. 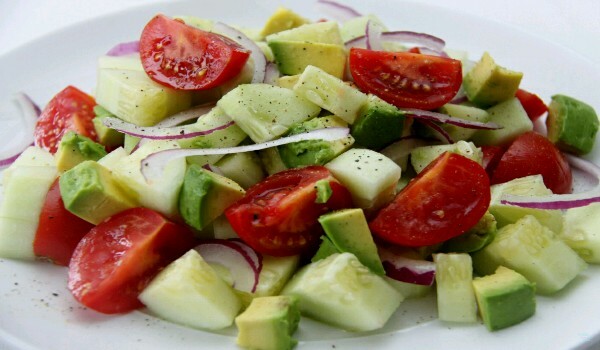 Learn how to make/prepare Cucumber Tomato Salad by following this easy recipe. 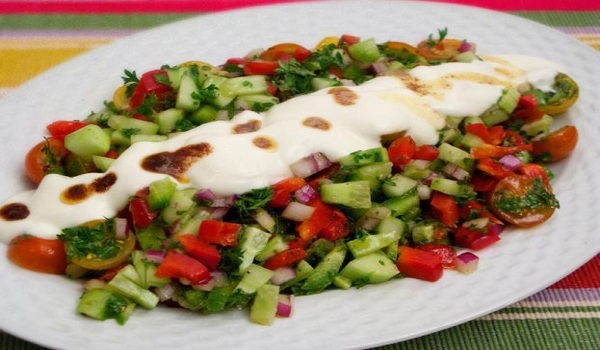 Lebanese Cucumber Salad is a very popular recipe that is usually prepared on New Year. Learn how to make/prepare Lebanese Cucumber Salad by following this easy recipe. 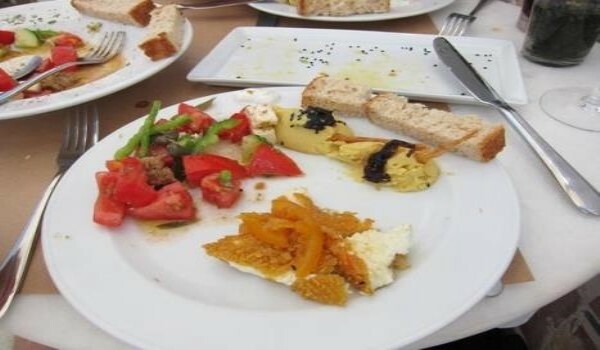 Zorba is a very popular recipe. 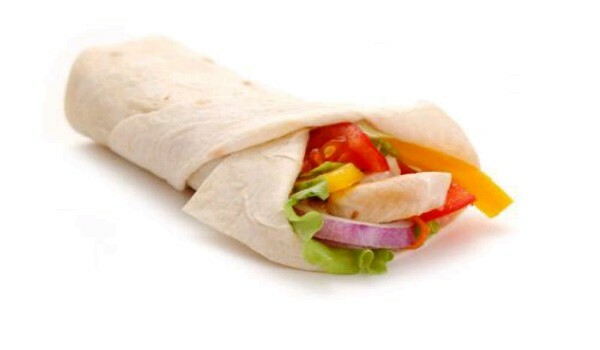 Learn how to make/prepare Zorba by following this easy recipe. Cucumber Dip is perfect for a variety of food. Learn how to make Cucumber Dip by following this easy recipe. 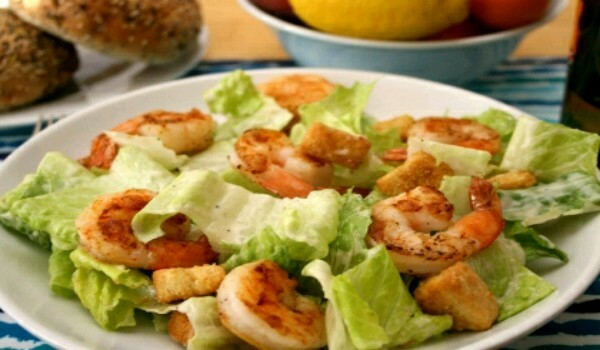 Diabetic salad is a very popular recipe. Learn how to make/prepare Diabetic salad by following this easy recipe. Serve these crisp, mouth-watering Olive-Cucumber Finger Sandwiches with a refreshing beverage. Learn how to make/prepare Olive-Cucumber Finger Sandwiches by following this easy recipe. 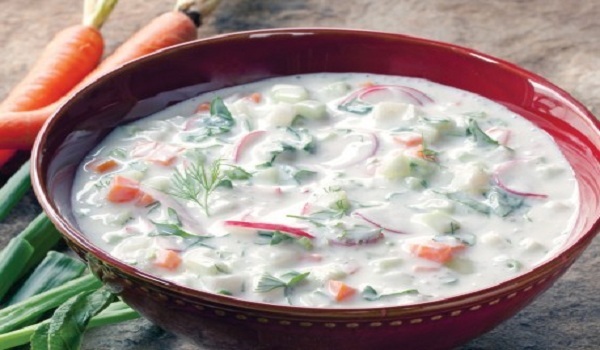 Dill Gazpacho is an easy to prepare summer soup. 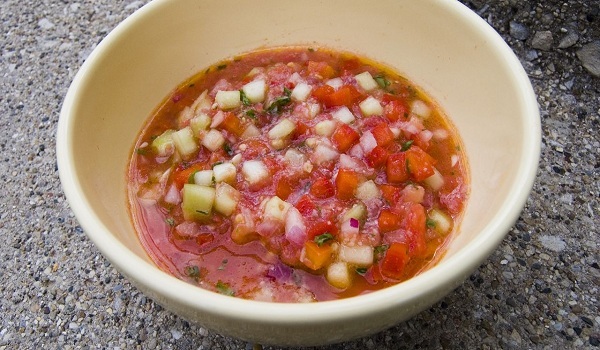 Learn how to make/prepare Dill Gazpacho by following this easy recipe. Caper And Salmon Sandwiches is a very popular recipe. Learn how to make/prepare Caper And Salmon Sandwiches by following this easy recipe. 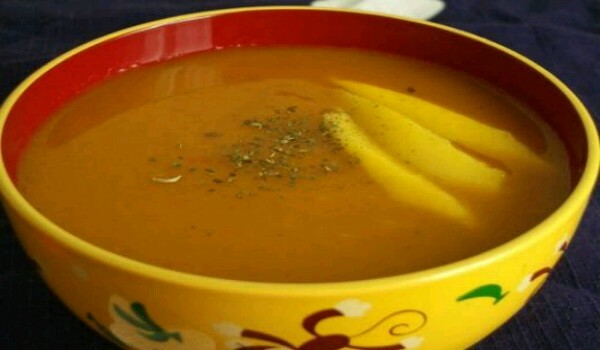 Mango Soup is a very popular recipe. Learn how to make Mango Soup by following this simple & easy recipe. Salad Olivier is a popular Russian Salad. Learn how to make/prepare Salad Olivier by following this easy recipe. Thai Cucumber Salad is a sweet and tangy summer recipe. Learn how to make/prepare Thai Cucumber Salad by following this easy recipe. Turkish Chopped Salad is a little spicy, juicy, hot, sour and sweet appetizer. Learn how to make/prepare Turkish Chopped Salad by following this easy recipe. Oia Greek Salad is an authentic salad preparation from Oia, Santorini Island in Greece. 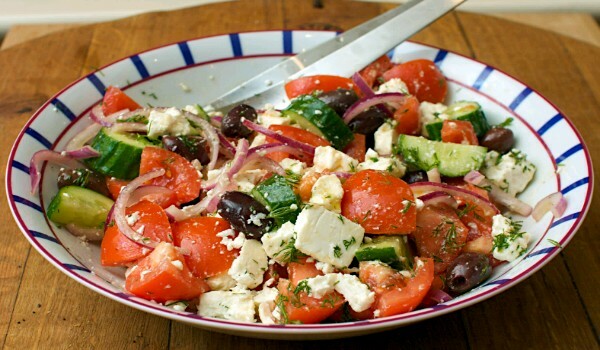 Learn how to make/prepare Oia Greek Salad by following this easy recipe. Polish Style Cucumber Salad is a very popular recipe. Learn how to make/prepare Polish Style Cucumber Salad by following this easy recipe. Make yourself an easy salad with Cucumber and Caper Salsa. Learn how to make/prepare Cucumber and Caper Salsa by following this easy recipe. Couscous Tabbouleh is a very popular recipe. 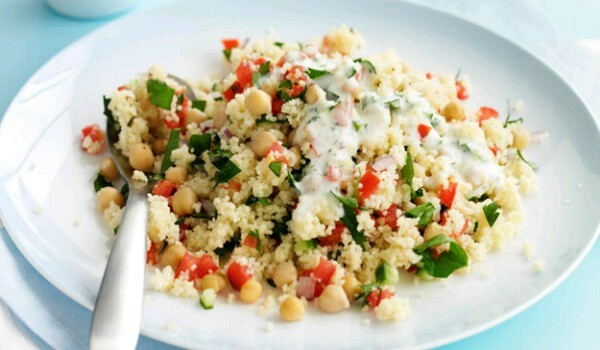 Learn how to make/prepare Couscous Tabbouleh by following this simple & easy recipe. Lebanese Cucumber Soup is a nutritious recipe. Learn how to make/prepare Lebanese Cucumber Soup by following this easy recipe. Vinegar Cucumber Salad is a refreshing recipe. Learn how to prepare Vinegar Cucumber Salad by following this easy recipe. 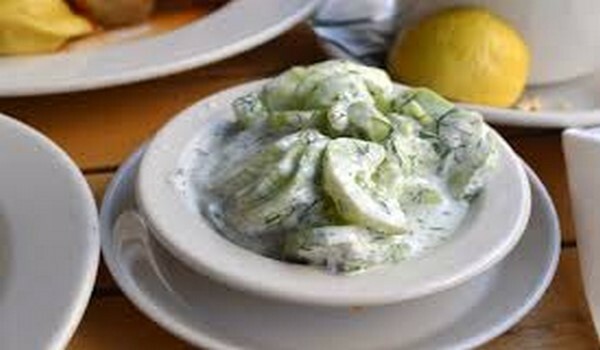 Cucumber Salad Horiatiki is tasty cucumber salad tossed with feta cheese. Learn how to make/prepare Cucumber Salad Horiatiki by following this easy recipe. 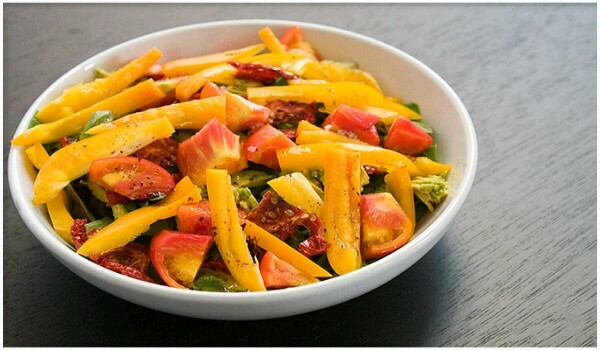 Pepper Tomato Salad is a very popular recipe. Learn how to make/prepare Pepper Tomato Salad by following this easy recipe.